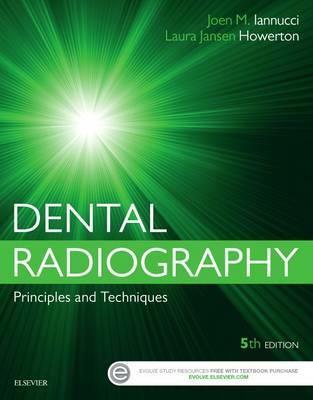 Set yourself up for success with this must-have oral radiography text. Dental Radiography: Principles and Techniques gives you a comprehensive foundation for the safe, effective use of radiation in the modern dental office. This combination textbook and training manual features easy-to-understand content combined with step-by-step techniques and a stellar art program to help you apply what you've learned to practice. Plus, new content focuses on pediatrics and the latest in digital and three-dimensional technology! Comprehensive coverage offers all the information you need to know to prepare for board exams. Step-by-step procedures help ensure technique mastery and serve as a valuable reference tool. Technique Tips help you to recognize and prevent the most common performance pitfalls. Quiz questions provide valuable self-assessment of important concepts. Key terminology is highlighted in chapter discussions and defined in a back-of-book glossary. Learning objectives and chapter summaries serve as goal-setting study tools. EXPANDED! Content on pediatrics/adolescents, digital imaging, and three-dimensional radiography ensures that you're prepared to practice in the modern dental office. UPDATED! Art program depicts the newest technology and equipment and includes new illustrations of anatomy and technique. UNIQUE! Helpful Hint boxes isolate challenging material and offer tips to aid your understanding. NEW! Laboratory Manual provides workbook-style questions and activities to reinforce concepts and step-by-step instructions for in-clinic experiences. UNIQUE! Chapter on three-dimensional imaging helps you to prepare to enter private practice. UNIQUE! Full-color presentation helps you comprehend complex content.